ras Power Technologies’ strength is an ability to provide the right power solution for specific applications quickly and effectively. We provide power solutions where applications cannot be satisfied from standard products or where integrated products are necessary. 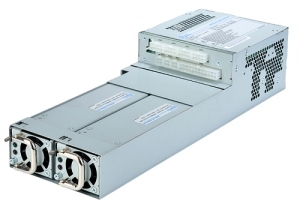 Many power solutions require unique control, status signals, modified output combinations and specific mechanical dimensions for the best possible implementation and performance. Aras offers a diverse product collection that provides our customers with a large selection of power platforms that we can integrate into various levels of customized standard power solutions. We maintain a talented engineering team to ensure fast development of our product lines with over 20 years of experience in power supplies design. The close proximity of our design team to our manufacturing facilities ensures Aras is able to produce prototypes quickly and effectively, reducing time-to-market for our customers. A partnership with Aras means more than being a supplier, it provides engineering consulting as well as additional resources. All Aras manufacturing facilities are ISO9001 / 14001 Certified and meet stringent guidelines for a waste free environment. We employ a check and balance system to provide closed loop feedback between our manufacturing and engineering teams ensuring continuous process improvement. As a leading power solutions provider, we offer our customers a low-risk path to powering their systems. Aras Power Technologies custom solutions are designed and built to meet our customer’s requirements. 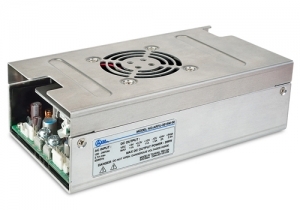 We have experience designing AC/DC and DC/DC power supplies in a variety of configurations including single or multiple outputs in any form factor. Aras designs product for harsh environments for various different industries and applications. 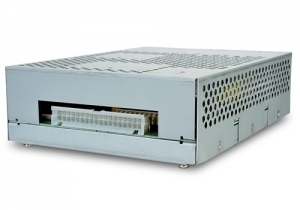 Aras’ experience in designing power supplies to your specification will help in a successful product launch.